Sir Elton John has spent much of his career on the road touring, and has performed to millions of fans all over the world. The singer-songwriter is reportedly set to announce that he will be retiring from touring after nearly 50 years, according to The Daily Mirror. 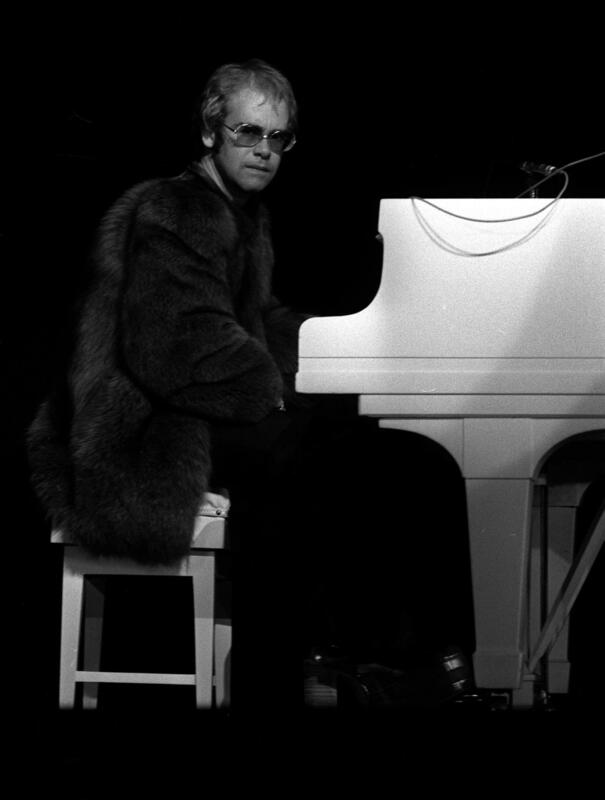 Sir Elton first toured in 1970 in support of his second album, which he kicked off by performing in venues around London before moving to the United States. These marked his first major gigs in the US and he became an instant hit as he took to the stage in cities including Los Angeles, Philadelphia, Boston, Baltimore and New York. A natural entertainer, Sir Elton went on to tour all over the world, rarely spending long without hitting the road with his band. Over the past five decades, he has toured the UK, Europe, North America, South America, Oceania and Asia across thousands of concerts. – In 1974, Sir Elton was joined on stage at Madison Square Garden in New York by former Beatle John Lennon for a surprise appearance. The duo sang their track Whatever Gets You Thru the Night and Beatles hit I Saw Her Standing There on stage in what would become one of Lennon’s last live performances. – In 1977, Sir Elton announced he was retiring from touring, but returned to the stage within a few years. 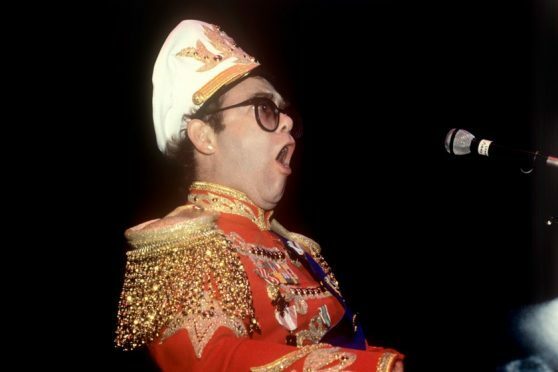 -In 1979, Sir Elton became the first international pop singer to perform in Soviet Russia. He entertained his fans in the USSR on his tour with songs from his album A Single Man, the first of his records to be officially released in the country. – Sir Elton was one of the stars at 1985 benefit concert Live Aid at Wembley Stadium. He sang hits including I’m Still Standing, Bennie And The Jets and Rocket Man during the show, which was broadcast all over the world, appearing towards the end of the bill between The Who and Freddie Mercury with Brian May. He also sang Don’t Let The Sun Go Down On Me with Wham! stars George Michael and Andrew Ridgeley. 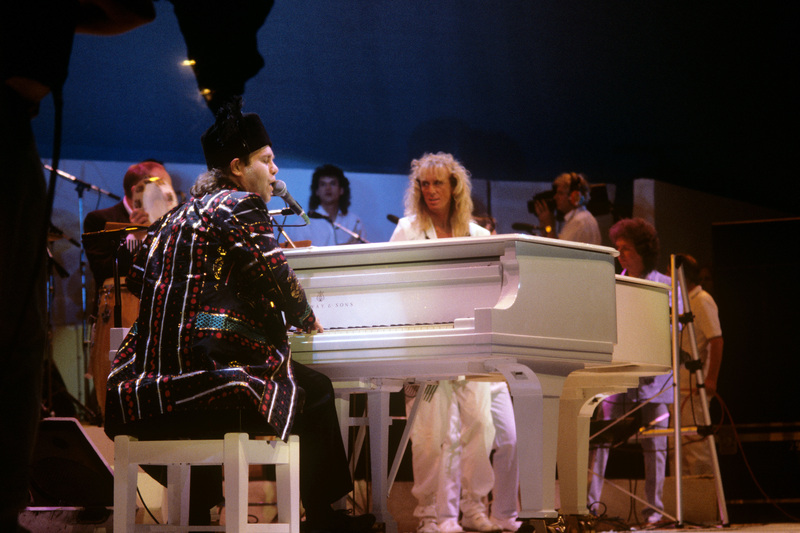 – In 1991, Sir Elton joined Michael on stage at London’s Wembley Arena on the final date of Michael’s Cover To Cover tour for a rendition of the ballad. The live recording of the duet was released as a single later that year, and hit the top of the charts in both the UK and the US. – Sir Elton accompanied Eric Clapton on the rock star’s world tour in 1992. – In 1994, Sir Elton embarked on a series of Face to Face concert tour with Billy Joel in North America. 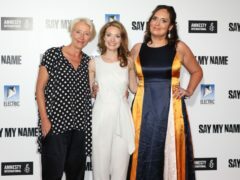 Their union continued over the years for a number of tours until 2010, and they have been named the most successful concert duo in music history. 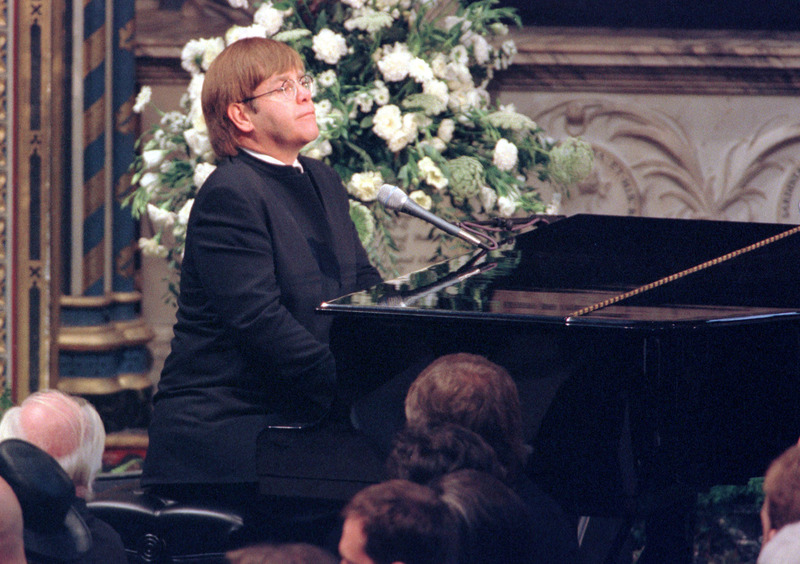 – In 1997, Sir Elton sang Candle In The Wind at the funeral of Diana, Princess of Wales, a close friend of his. Ten years later, in July 2007, Sir Elton was one of the major performers at a benefit concert held in Diana’s memory. Sir Elton opened the concert with Your Song, and he later returned to the stage again to close the Wembley Stadium show, which saw a line-up of performers including Lily Allen, P Diddy, Kanye West, Sir Rod Stewart, Take That and Joss Stone. – Sir Elton was among the litany of stars performing at The Concert for New York City in October, 2001, a benefit event following the September 11 attacks. – In 2004, Sir Elton kicked off his Las Vegas residency, called The Red Piano, at The Colosseum at Caesars Palace. The residency continued for several years until 2009 and also included touring stints in the UK and Europe in 2008 and 2009. His The Million Dollar Piano residency in Las Vegas kicked off in 2011 and will continue until May this year.